RARE RARE RARE FIND!! 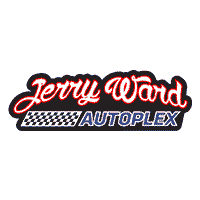 Contact Jerry Ward Autoplex today for information on dozens of vehicles like this 2004 Pontiac GTO 5.7L Coupe. This Pontiac includes: TRANSMISSION, 4-SPEED AUTOMATIC, ELECTRONICALLY CONTROLLED WITH OVERDRIVE (STD) 4-Speed A/T A/T LIMITED EDITION PULSE RED Leather Seats SEATS, FRONT AND REAR SPORT BUCKET, LEATHER (STD) Leather Seats Bucket Seats ENGINE, 5.7L V8 SFI ALUMINUM (STD) 8 Cylinder Engine Gasoline Fuel *Note - For third party subscriptions or services, please contact the dealer for more information. * This vehicle is loaded with great features, plus it comes with the CARFAX BuyBack Guarantee. This 2004 Pontiac GTO has such low mileage it has been parked more than driven. Added comfort with contemporary style is the leather interior to heighten the quality and craftsmanship for the Pontiac GTO High performance is what this vehicle is all about. You will be reminded of that every time you drive it. Treat yourself to a wonderful driving experience in this wel- optioned Pontiac GTO 5.7L Coupe. Equipped with the latest in driver comforts, this Pontiac is the benchmark of modern automotive engineering. This rare vehicle is a prime example of automotive engineering perfected. Check out this gently-used 2017 Toyota Corolla we recently got in. This Toyota includes: ASH, FABRIC SEAT TRIM Cloth Seats BLACK SAND PEARL POWER WINDOWS AND LOCKS REAR BACKUP CAMERA KEYLESS ENTRY *Note - For third party subscriptions or services, please contact the dealer for more information. * Drive home in your new pre-owned vehicle with the knowledge you're fully backed by the CARFAX Buyback Guarantee. The less money you spend at the pump, the more money you'll have to spend on you. So why not consider this wonderfully styled, fuel-efficient Toyota Corolla. A vehicle as well-maintained as this Toyota Corolla almost doesn't need a warranty, but you rest easier knowing it comes covered with the Toyota factory powertrain warranty. Jerry Ward Autoplex has a wide selection of exceptional pre-owned vehicles to choose from, including this 2018 Chrysler Pacifica. This Chrysler includes: TRANSMISSION: 9-SPEED 948TE FWD AUTOMATIC 9-Speed A/T VELVET RED PEARLCOAT DEEP MOCHA/BLACK, PREMIUM LEATHER TRIM BUCKET SEATS Leather Seats Bucket Seats PANORAMIC SUNROOF WITH SECOND AND THIRD ROW SKYLIGHTS GPS NAVIGATION ENGINE: 3.6L V6 24V VVT UPG Flex Fuel Capability V6 Cylinder Engine WHEELS: 18 Aluminum Wheels *Note - For third party subscriptions or services, please contact the dealer for more information. * When you purchase a vehicle with the CARFAX Buyback Guarantee, you're getting what you paid for. This Chrysler Pacifica Limited is for the discerning driver who demands the utmost of his vehicle. Intricately stitched leather and ergonomic design seats are among the details in which test drivers say that Chrysler Pacifica is in a league of its own The Chrysler Pacifica Limited has a navigation system installed, so you'll always know where you're going. This top-tier navigation system is reliable and will get you to your destination quickly and by the most efficient route available. There should be no doubt in your mind about purchasing this 2018 Pacifica Limited. This lightly-used vehicle is still covered by the Chrysler factory warranty. This Chrysler Pacifica Limited comes standard with features that are essential in the 21st Century. However, Chrysler decided to take it one step further and add a handful of quintessential options that will undoubtedly add to this vehicle's quality and value.